Updated Tuesday, May 23, 2017, 9:40 p.m. EDT: House Bill 245 passed the Texas Senate on Tuesday by a vote of 28-3. The bill now heads to the desk of Gov. Greg Abbott to be signed into law. Updated Friday, May 19, 2017, 3:57 p.m. EDT: Texas state Sen. John Whitmire (D-Houston) sponsored Rep. Eric Johnson’s bill and scheduled an immediate hearing in the Senate Criminal Justice Committee to lay it out and get a vote Thursday. Whitmire is chair of the Criminal Justice Committee. The vote to approve the bill was unanimous, and Whitmire told The Root that the bill will go to the state Senate floor in the next few days, and he is confident that it will pass. Johnson was happy with the progress his bill made Thursday, and looks forward to the Senate voting to approve it so that it can move on to the governor and be signed into law. “House Bill 245 is the logical next step in improving Texas’ data collection on officer-involved shootings and peace officer injuries and deaths,” Johnson said. “Once we have complete data, we can accurately assess how frequently these instances occur and proceed as policymakers in developing solutions to problems based on facts. The clock is running down for police in Balch Springs, Texas, to report the data pertaining to the April 29 shooting of 15-year-old Jordan Edwards by now-fired Police Officer Roy Oliver. eCritical information, including the demographic details (age, race or ethnicity, gender) of both Oliver and Edwards and the location of the shooting, has to be turned over to the state attorney general for collection in a searchable database. Two years ago this wasn’t the law, but thanks to the hard work of Democratic state Rep. Eric Johnson—who represents District 100, which includes Dallas and part of Mesquite—H.B. 1036 passed in the last state legislative session with a vote of 141-1, and now Johnson is back with H.B. 245, which picks up where 1036 left off by creating punitive damages for departments that do not follow the data-reporting protocol. With H.B. 1036, departments have 30 days to report shooting data to the Texas attorney general. If someone complains to the attorney general that a shooting should have been reported but hasn’t been, the attorney general’s office investigates. “Up to this point, in every shooting that the attorney general has investigated, they have agreed that the shooting should have been reported,” Johnson said. With H.B. 245, once the attorney general investigates and finds that a shooting should have been reported, the law enforcement agency is notified that they have seven days to comply or else they face a fine of $1,000 per day until they do. If a law enforcement agency fails to report a shooting in the required time twice within a five-year period, it incurs a penalty of $10,000 and then $1,000 each day until it is reported. Getting bills like H.B. 245 and 1036 passed in the conservative Texas Legislature is no easy feat, especially for Democrats. “Donald Trump likes to brag that he raised more money for his presidential campaign in the state of Texas than he did in both California and New York combined,” Johnson notes, but even up against a tough conservative Legislature, Johnson knew what he had to do to get his bill passed. 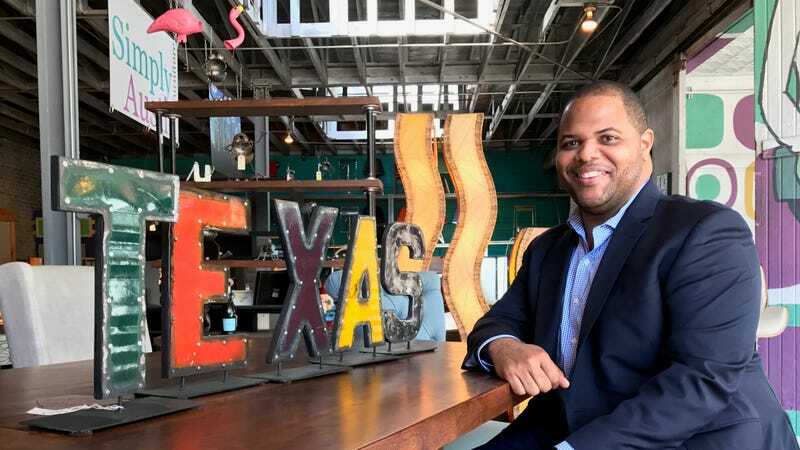 Bills in the Texas Legislature are filed sequentially, and Johnson wanted his colleagues to know that he was serious about passing this legislation, so he filed early. H.B. 245 was the 245th bill to be filed in a state legislative session where some 4,000-5,000 bills are filed. He then set out to talk to those who would be naturally opposed to his bill. Johnson said that his thinking in filing any bill is figuring out why something is not already the law, and who has an interest in keeping it from becoming law. “People think the two most powerful parties in the legislature or Congress are the Republicans and Democrats,” Johnson said. ‘That’s not true. The two most dominant parties in any legislature are the people who want to make some changes and the people who want to keep things the same. For Johnson, that meant getting both law enforcement and the Texas attorney general on his side early on. He knew the attorney general could be a huge stumbling block that could kill his bill early. Johnson made personal phone calls, had intense meetings, and was eventually able to convince the attorney general and Texas law enforcement agencies that the bill was important and not meant to be a “gotcha” for anyone. “Keeping track of this information makes us all look good,” Johnson said. With the state attorney general and the head of the Texas Municipal Police Association on record as saying that they were absolutely supportive of the legislation, Johnson took his bill to the floor of the Texas House. On May 10, the bill was initially voted down in the House and failed by one vote, 70-71. This was a blow to Johnson, but through a procedural move, the bill was brought back up for reconsideration on May 11, and it was approved on the voice vote. It came up for record vote May 12 and passed 112-21. “Texas has the opportunity to lead the nation in transparency and accountability in policing. We made great strides by passing a law last session to require officer-involved shootings and peace officer injuries and deaths to be reported, but need to make sure our data is complete,” Johnson said after the vote. “Given the recent tragic shooting of Jordan Edwards, it is imperative that we get to the root cause of why these events keep happening. However, it is difficult to have a thorough and fact-based discussion when we lack the necessary data to do so,” he added. And that is at the root of why Johnson wants to make this law happen. “We can’t get the part of America that believes ‘Black Lives Matter’ should be ‘All Lives Matter’ … we can’t get that part of society to even begin to support policy changes if we can’t prove to them that we have a problem, and the only way we prove that we have a problem is overwhelming data,” Johnson said. H.B. 245 now moves to the Texas Senate, where Johnson said he plans to appeal to Sen. John Whitmire, the chair of the Senate Committee on Criminal Justice, and ask him to be the person who sponsors the bill in the state Senate. Johnson said he plans to get Whitmire’s word that he will work as hard in the Senate as Johnson worked in the House to get the bill passed. Creating change almost always has to start at the local level, and Rep. Eric Johnson is showing everyone how it should be done.